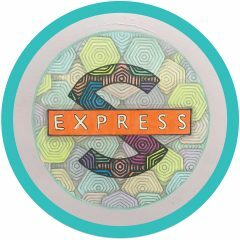 Following the monumental 100th release on the label from Jamie Jones, Hot Creations are set to deliver a heavyweight remix package of the No.1, chart topping Theme From S’Express from S’Express. Originally released in 1989, the acid house classic is remixed by Tuff City Kids aka Gerd Janson and Phillip Lauer and Hot Creations artist Detlef. Hot Creations and Paradise favourite Detlef delivers a driving, club ready version for his remix. In a short time he has released and remixed with well respected labels including Hot Creations, Relief, Knee Deep In Sound, Moon Harbour, and Defected earning support from the likes of Green Velvet, Marco Carola, Matthias Tanzmann, Hot Since 82, and Jamie Jones to name a few.